I work from a comfortable, but fairly non-descript office situated between Geneva and Lausanne. The region is visually stunning with the lake and Alps to the east and Jura mountains to the west, but one of the major things making the location so special to me is that I am only five minutes’ drive from the Speake-Marin atelier. The timepieces presented in the first three months of the year alone have ushered in concrete evidence of a niche independent evolving into serious mid-size brand. * Peter Speake-Marin is the consultant watchmaker on the new Piece Brosnan film, Survivor. Elizabeth Doerr broke the news in this Forbes article. * No fewer than five new models: Magister Tourbillon, Velsheda, Born Watch, Spirit Wing Commander and Steel Triad. Plus a very funky chronograph in the Spirit Seafire. Here we present the very first live photos of these new models from Speake-Marin as well as the very first wrist shots. Please note that the watches photographed below are first prototypes and there are minor details that are likely to change in the production models, e.g. more three-dimensional hands and improved legibility. 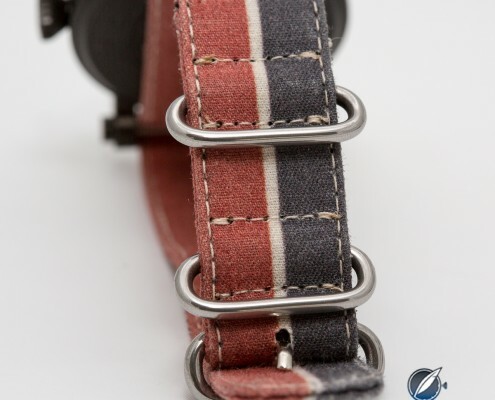 But first: in case you missed the news last year, Speake-Marin now offers the option of very distinctive hand-waxed cotton NATO straps for models in the Spirit collections. The high-quality straps are made by the American firm Suigeneric. With its dial and gearing in monochromatic silver, the triple pairs of blue hands on the Steel Triad really pop. I wasn’t an instant fan of the Triad, but this version works for me. The very popular Spirit collection receives complications, the first of which is the Wing Commander featuring a big date at 12 o’clock, power reserve at 6 o’clock and a massive topping tool seconds wheel at 9 o’clock. Born Watches are commission-only pieces featuring a hand-engraved animal on the dial that represents the owner’s year of birth according to the Chinese calendar. On the back is a diamond-set constellation of stars as seen in the night sky at the time and place of the owner’s birth. The engraving is sublime. 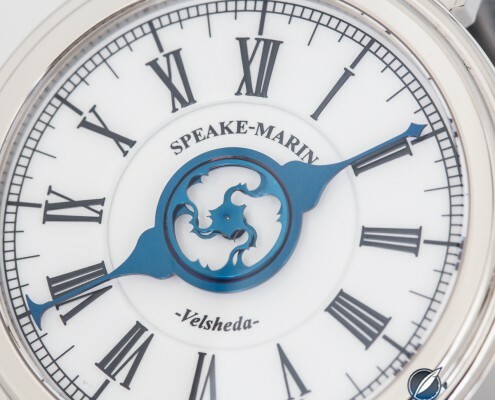 Velsheda is a completely redesigned and updated version of the one-handed Speake-Marin Shimoda. Two superimposed topping tool motifs in the center of the dial (one fixed, one rotating as the hub of the single hand) add a touch of visual spice. But you do have to look closely to see which way that hand is pointing (something that may be improved in the production model). This is the new flagship of the Speake-Marin collection and it looks even better “in the metal” than it does in photos. The circular frame around the tourbillon draws attention to the rotating escapement, but doesn’t detract from an otherwise very clean look. In an extra touch of class, the automatic winding movement is powered by a platinum micro-rotor. Awesome article ! I had been waiting to see live pictures for a while. I have a question, If you could help ? How will the wing commander look in a DLCed version ? I’m glad you liked the photos, Aman. Your imagination is as likely to be as good as mine in regards to a (at present) non-existent black DLC Spirit Wing Commander. The only answer I can give is that it is certain to look darker. hi, do you know the price for the steel triad? 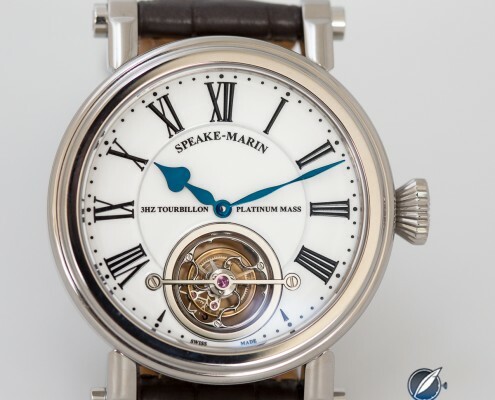 Sorry, not off-hand, but you can easily find out by contacting Speake-Marin directly here: http://speake-marin.com/contact. Spirit collection, ie Wing Commander, houses hand finished ETA movements.